Featuring white and blue flowers, creeping speedwell or Veronica filiformis is a low-growing perennial if you’re looking for an easy-to-maintain ground cover option. Forming a dense mat on lawns, this low-growing plant remains evergreen and blooms from April to July. Featuring round or kidney-shaped leaves and beautiful flowers, creeping speedwell originates in western Asia and eastern Europe. It’s a ground-hugger of a plant which can tolerate moderate foot traffic. It also creates a great display between paving stones or in rock gardens. 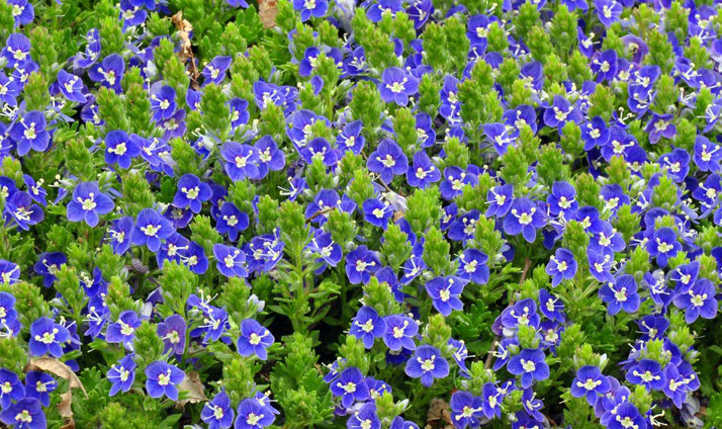 Since it has some drought tolerance and likes partial shade, you can easily use creeping speedwell in your landscaping. Also known as threadstalk speedwell, slender speedwell, Whetzel weed, and creeping Veronica, this dense perennial remains attractive all year. 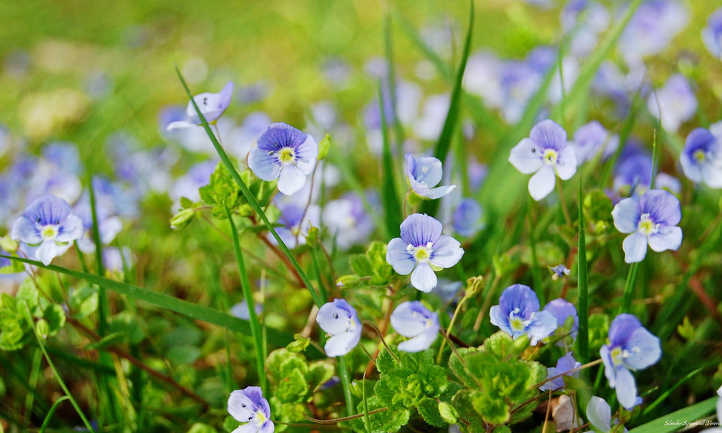 To give you a complete guide on how to plant creeping speedwell in your home garden, we have compiled everything to answer your most pressing questions. Let’s get started and find out more about this European perennial! These tend to be rather durable plants as a whole. There’s multiple species of Veronica, but we’re going to touch briefly on a few of the most popular ones today. Don’t limit yourself to our recommendations, though! Low-growing varieties like Veronica austriaca or Veronica montana are also beautiful and have similar growth patterns. Veronica filiformis is a type of creeping speedwell that prefers to grow in shade with moist, loamy soil. 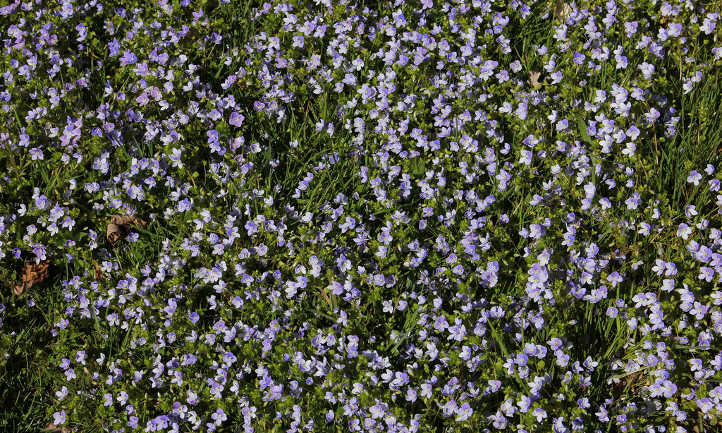 It has a low mowing height and is typically sold as an ornamental ground cover. This variety of creeping speedwell spreads by stolons like ground ivy and may grow out of the landscape beds. Veronica filiformis produces blue-violet flowers in the spring. It is also known as slender speedwell and creeping Veronica. The leaves of Veronica filiformis are very small, opposite and scallop-shaped. Alternate leaves and stems emerge from the base of the plant. The stems root at the nodes and form a fibrous root system that grows rapidly as it spreads in patches. Creeping Veronica can become difficult to manage because of its spreading nature. Keep a watchful eye on it to ensure it stays put! Veronica repens is a very popular speedwell variety. It forms small white flowers in the late spring and early summer. This plant’s perfect to plant between paving stones or use as a ground cover for a large area. It can grow in full sun to partial shade. It can tolerate moderate foot traffic and is tough and versatile in nature. The best time to propagate Veronica repens is spring or early fall. You can easily divide the plant by ripping it apart and planting elsewhere. It can grow well in all types of soil with average moisture level. It has deep green foliage with white flowers. It can grow up to 1 to 2 inches in height and spread up to 15 to 30 inches. If you’re looking for a lawn substitute, this variety is among the most popular. It’s lightly drought-resistant, moreso if it’s got mulch or compost at the plant bases. 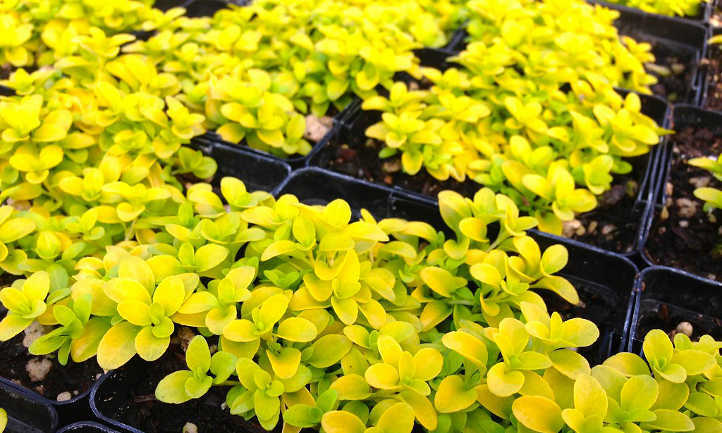 The ‘Sunrise’ variety has brilliant yellow-green foliage and can be quite stunning even without flowers, as seen above! The ‘Tidal Pool’ hybrid was developed at the Chicago Botanic Gardens. Veronica tidal pool is a hybrid creeping speedwell that has traits of Veronica armena and Veronica pectinata ‘Rosea.’ Developed at the Chicago Botanic Gardens, this hybrid mix of creeping speedwells is dense with fast-spreading capability. It forms vivid green foliage with a silverish tint, and produces deep blue flowers in late April to mid-May. Veronica ‘Tidal Pool’ makes an attractive ground cover that can survive cold and heat across the year. It can tolerate drought well and can thrive at various humidity levels. It averages about 2″ tall, with a spread of up to 22″ across. It can be propagated easily by dividing its clumps in early spring or fall. It has a fast growth rate and will become visually appealing very rapidly. Creeping speedwell is easy to grow and easy to look after. Its tenacious nature and ability to thrive in any condition makes it easy to grow and care for. However, you may have to look out for its growth as this perennial can be aggressive in nature. It easily outgrows its landscape area and may enter other spaces via runners. Here’s a breakdown of what you’ll need to do when growing Veronica plants. Creeping Veronica can thrive in full sun as well as partial shade. While it can grow in complete shade, it doesn’t flower as well there. If you’re in a hot climate, an area with afternoon shade is ideal. Too much blistering sun can cause the plant to wilt. For people who’re using it as a lawn replacement, it’s perfect if you’ve got partially-shaded conditions under trees. Lots of bright, indirect lighting is fine. When you newly plant speedwell, it should be watered daily, and then reduced gradually with time. Established plants should only be watered when the top inch of soil is dry. Over-watering can create conditions leading to stem and root rot. Adding a thick layer of compost or mulch when first planting can reduce watering needs. This will provide a barrier against soil moisture evaporation. Once established, water it when the soil begins to dry out for optimal growth. Soaker hoses hidden underneath the plant’s dense foliage can be used to great effect here. Just be careful not to accidentally prune your hoses when trimming the plant! This low-growing perennial is grown in all sorts of soil types. It prefers either sandy or slightly loamy soil when it has a choice. Well-draining but moisture-retentive is best to keep it happy. Soil pH isn’t a major concern for this plant as long as it’s not heavily acidic or heavily alkaline. Like most ground covers, a neutral soil pH is easiest to maintain, but if you veer slightly to one side or another it’s okay. Typically, fertilizer isn’t really required for this ground cover. It survives in conditions where other ground covers won’t, including poor soil nutrition scenarios. To encourage a healthy spread, you can apply an organic 5-10-5 fertilizer in the early spring. The higher phosphorous level will encourage flowering, and the light addition of fertilizer will keep the plant happy. If it’s necessary, you can add a second half-strength feeding in mid-summer. If you’d like to skip a standard fertilizer, work some good compost or leaf mold around the base of the plants in the spring instead. This has the added benefit of keeping the soil moisture consistent. Don’t over-fertilize this plant. In rich environments, it can rapidly invade other parts of your garden. If you want to set a schedule, the maximum fertilization should be once in early spring and once in early summer. Skip the fall and winter months. Veronica-species plants spread via runners under the soil surface. They will readily self-propagate in that way. They will also form roots at stem nodes, so are a good choice for cuttings or air layering. Plant division’s also an option. Cuttings can be taken and pressed into moistened potting soil. Be sure a couple stem nodes are beneath the soil’s surface, and keep them in an area with bright but indirect light until the cuttings take. It’s possible to root additional plants in place by pressing a stem node underneath the soil’s surface. This is a variation on air layering that works very well with Veronica species. In colder temperatures, the center of older plants can begin to die out and look brown. Before it begins actively growing again in the spring, it’s a good time to divide your plants. Use a shovel to cut the plant into multiple segments with attached roots, removing the dried-out center. Replant your new starts in the soil, and it will fill out again. To maintain the height and shape of creeping Veronica ground cover, you can use a mower in the non-flowering season to trim it down in height. Pruning creeping speedwell after September hinders the new growth and affects the plant’s tendency to wither the cold temperature, so stop mowing around Labor Day. It will slow its growth through the fall months. Please be aware that if you’re mowing to prune, it’s best to attach your mower bag. They will readily form new plants from trimmed segments with leaf nodes. A mulching mower may spread these small stem pieces into areas you don’t want the plant to grow! To encourage more blooming, deadhead spent flowers regularly. You can use lawn shears to snip off clusters of the spent blossoms, but try not to take off too much foliage at the same time. Very few pests and diseases will impact your Veronica plants. They tend to be tough and durable. But let’s discuss the few problems that might arise. Probably the biggest growing problem that people encounter isn’t actually a problem with growing it — it’s too much growth! 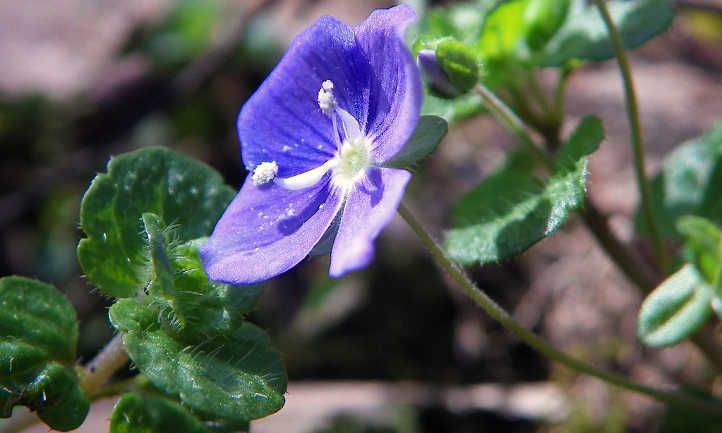 Creeping speedwells are considered weeds in many parts of the United States because they do so well here. Because of this, I do encourage regular pruning in areas you don’t want the speedwell to spread to. Since it self-propagates by underground runners, using garden edging or barriers that go beneath the soil’s surface at least 4″ can also slow growth. In hotter desert-like climates such as southern California, full sun may cause your plant to wilt in the summer months. This is mostly caused by the soil drying out too rapidly beneath the plant. Water when the plant’s soil is dry in the first inch. Adding mulch or compost around your plants will prevent moisture evaporation. At the same time, don’t overwater. Too much water creates the conditions that encourage fungal rot diseases to form. Veronica species are susceptible to multiple types of root and stem rot, especially if they’re weak already. Try to keep your plants healthy, and the soil evenly moist but not soggy. There’s no reported pest problems with this perennial, but it can be a haven for some insect species such as ticks or fleas. Adding beneficial nematodes to your soil will kill off flea and tick eggs and larvae that may be hiding amongst your plants. Larger animals also tend to leave Veronica-species plants alone. They’re deer-resistant and rabbit-resistant. If you’re in a lightly forested area with partial shade and wild animals, this makes it ideal for you to use as ground cover! It should be noted that Veronica species are great lures for beneficial insects and pollinators. If you’re trying to develop a pollinator-friendly garden, add a little speedwell for variety. Q. There are white flowers in my creeping speedwell ground cover. I expected them to be violet-blue. What did I do wrong? A: White flowers are produced by Veronica repens. For deep blue varieties, I personally like Veronica filiformis. The “Tidal Pool” hybrid’s also an excellent choice for blue blooms. Other Veronica species may produce lilac or baby blue flowers, too! Q. How often should I fertilize my slender speedwell? A. Rarely if ever. 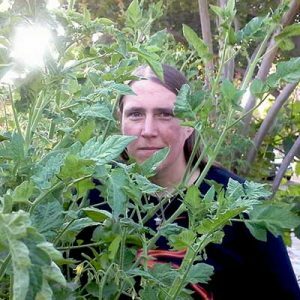 I personally spread some compost among my plants in the early spring, and that provides plenty of nutrition as well as soil moisture retention. If you do want to fertilize, use a 5-10-5 fertilizer in the early spring months. If heat is slowing down its growth mid-summer, you can use a half-strength fertilizer to give it a quick boost again. Q. I want to plant Veronica speedwell but my soil is alkaline. Will it affect the ground cover’s growth? A. Lightly-alkaline soils shouldn’t negatively impact your plant’s growth. However, you can improve its chances by working some good composted material into your soil before planting. Once it’s established, an annual application of compost should help bring the soil to a more neutral pH level. 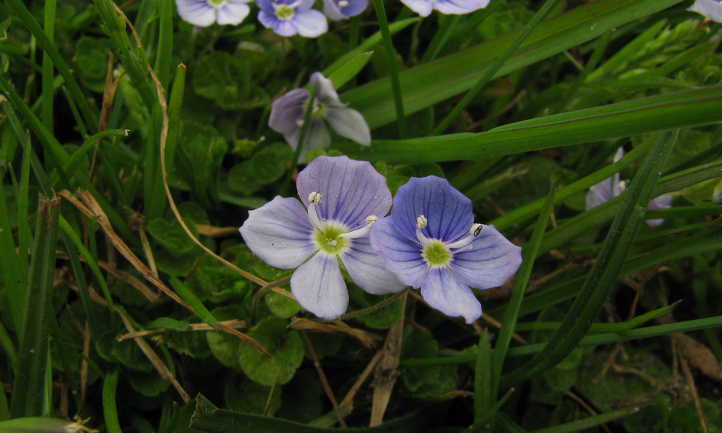 In some areas, people curse creeping speedwell because it’s invading their lawn. Why fight it? This beautiful ground cover can replace your lawn entirely and become an easy-to-maintain and beautiful solution. With the tips we’ve provided above, this plant may quickly become a favorite part of your landscaping!